This cemetery is associated with the SS Peter & Paul Orthodox Church, which is located approximately 1/2 mile away, on Hoffman Farm Rd. (the east side of Rte. 160, by Windber Rec Park). 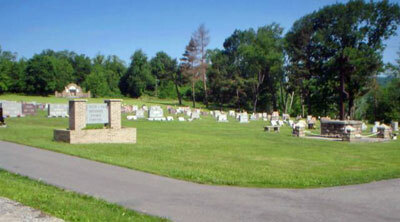 SS Peter & Paul Orthodox Cemetery is on the Cambria Co. side of Cemetery Rd.